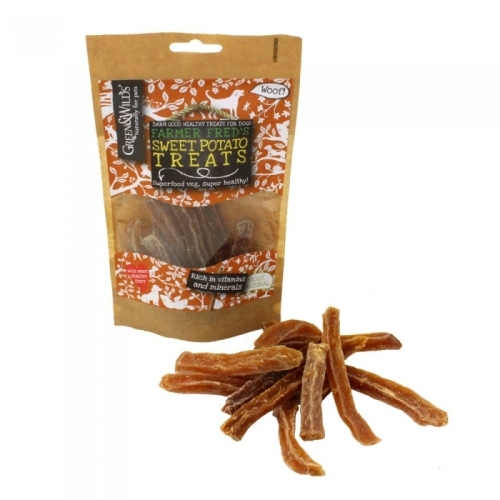 100% natural, sliced and air dried, Green & Wild’s Sweet Potato Treats are a delicious and healthy snack for your dog. Featuring a chewy texture, this acts as a natural toothbrush, helping to support good dental health and fresh breath. These sweet treats are naturally hypoallergenic and rich in Beta-carotene, which promotes bone and teeth developments and helps to maintain healthy skin and hair.